anxiety style. Big time. First years of my marriage was characteristic of attachment-related anxiety too. In me. I was worried. I was needy. Yes. Insecure. Now the results of today's test. On attachment-related anxiety I scored 2.89 on a scale 1-7. Seven being high anxiety. 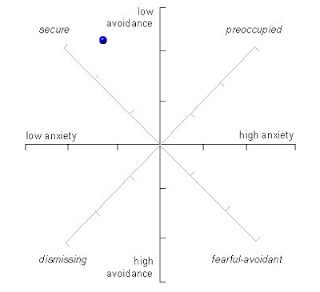 I scored 1.73 on attachment-related avoidance. Seven being highest. 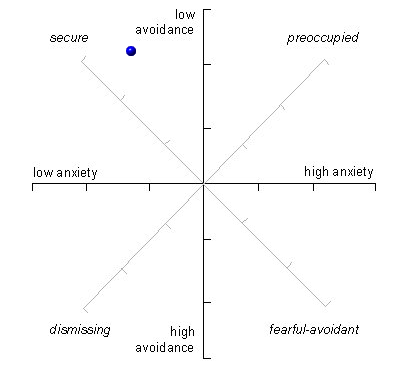 The results put me in the secure quadrant. What? Really. 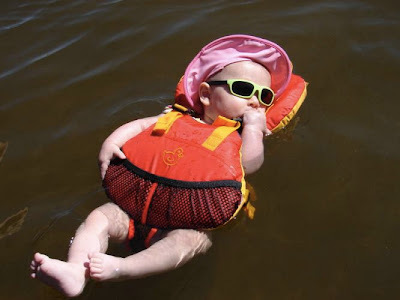 What do we know about secure attachment style? Secure people tend to have "relatively enduring and satisfying relationships". Hmm. Secure people "don't typically worry about whether their partner's are going to reject them and they are comfortable being emotionally close to others". Hmm. "They are comfortable expressing their emotions, and tend not to suffer from depression and other psychological disorders". Wow. That sounds good. That IS good. I changed. Years ago. That was really good. 2 questions. What happened to cause a change? That is for a future post. 2nd Question. What did the test say about your attachment style?